The Great White Desert. The Ice-Crowned Wonder. The Final Frontier. The Seventh Continent: Antarctica. It goes by many names, but each has been earned. 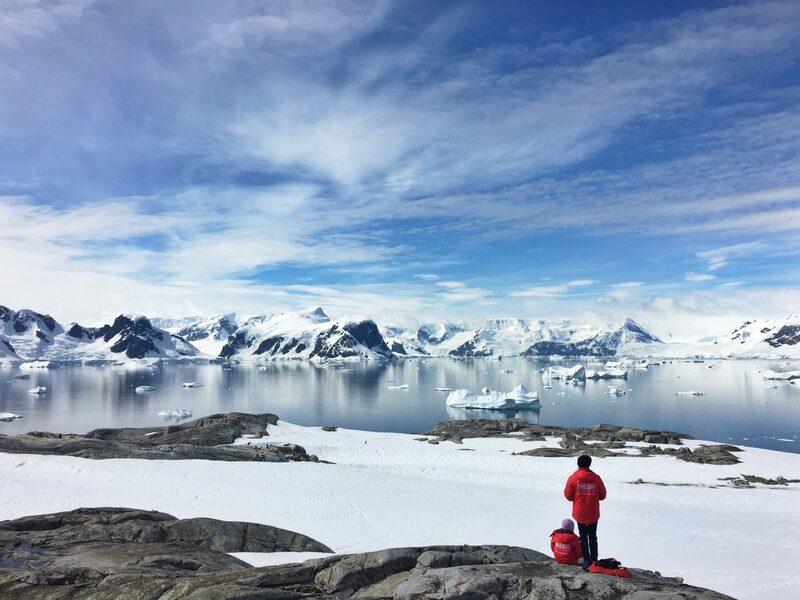 Explorers have been fascinated by this continent’s remote grandeur since Captain James Cook and his crew became the first men to cross the Antarctic Circle in 1773. Now, 244 years later, just under 48,000 brave explorers embrace the Antarctic wonder each year. In February, the IVY community will add 10 more to that total, as our most adventurous pioneers travel to the Seventh Continent. Ever wonder what it takes to traverse the mystic land where temperatures average well below zero, glaciers tumble in slow motion to the sea, and most birds boast their best tuxedos? 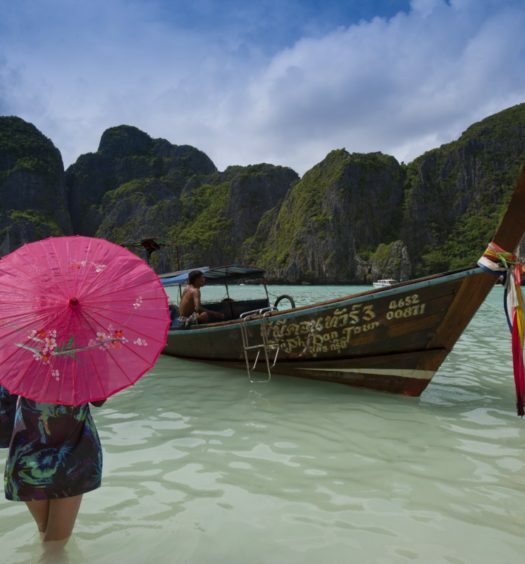 An adventurous spirit, to start — but we’ve shared some travel tips below. You’ll be exploring glaciers with an Antarctic breeze, so warmth and weatherproofing is of the utmost importance. Experts recommend a parka and all-things waterproof. 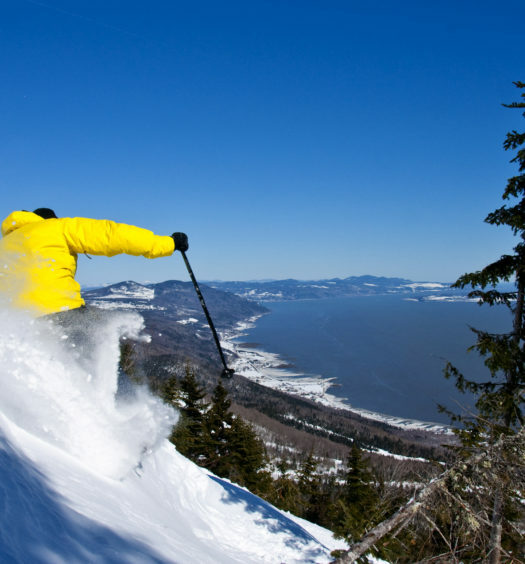 Start with thin base layers (and make sure they don’t itch!) before finishing off your daily wardrobe with waterproof pants, boots, and a coat. You don’t want to forget your scarf, hat, or gloves, along with several pairs of warm socks. With those essentials nailed down, leave room for your camera, waterproof daypack, sunscreen, and a good book. Motion sickness medication may be a good call, as there’s no telling what mood the ocean will be in while you’re there. Comfort and warmth take top priority for this expedition. 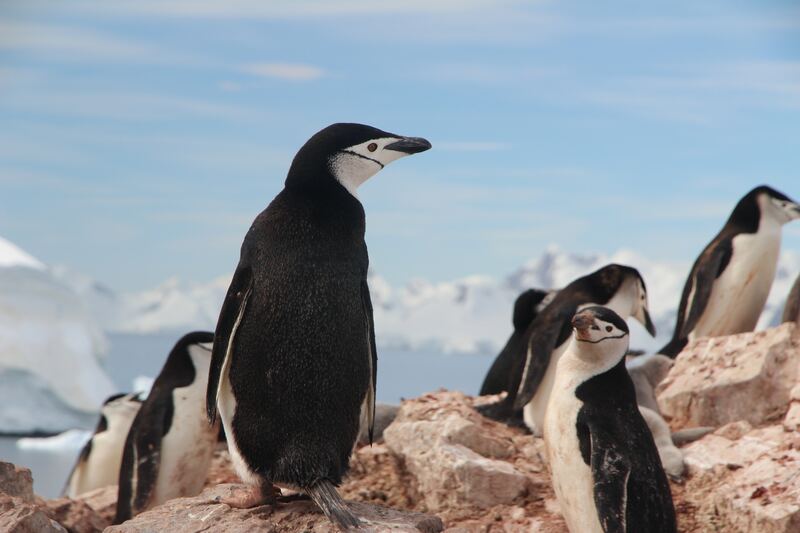 Don’t let the fancily dressed penguins steer you wrong — the scenery will be the focal point of any photos or memories. Your journey will begin in Punta Arenas, Chile — the gateway to Patagonia. If you have time, this South American region makes for a stunning pre-show for the trip’s main event. After a brief stay, you’ll likely take a two-hour private flight before landing on King George Island, located in the South Shetland Islands. 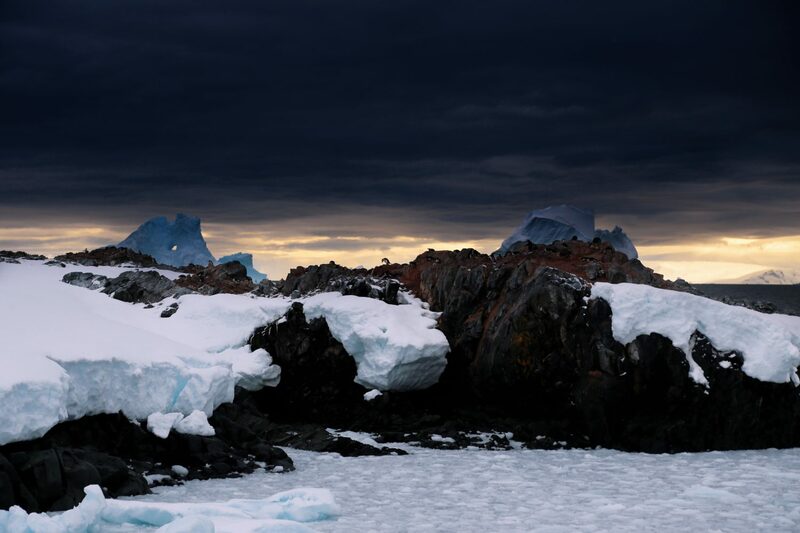 Take a deep breath here: you’ll feel the invigorating Antarctic air fill your lungs for the first time. All travelers earn their experience by air or sea — for our expedition, we board the Ocean Nova. Our polar home boasts a glass-enclosed observation lounge, full bar, library, gym, and infirmary. All cabins are exterior-facing — you won’t want to miss a single Antarctic view! Be sure to settle in here, as the ship will be your home base while you embrace magical wildlife encounters, blue icebergs, towering snowcaps, and the unexpected, ever-changing opportunities provided by nature. 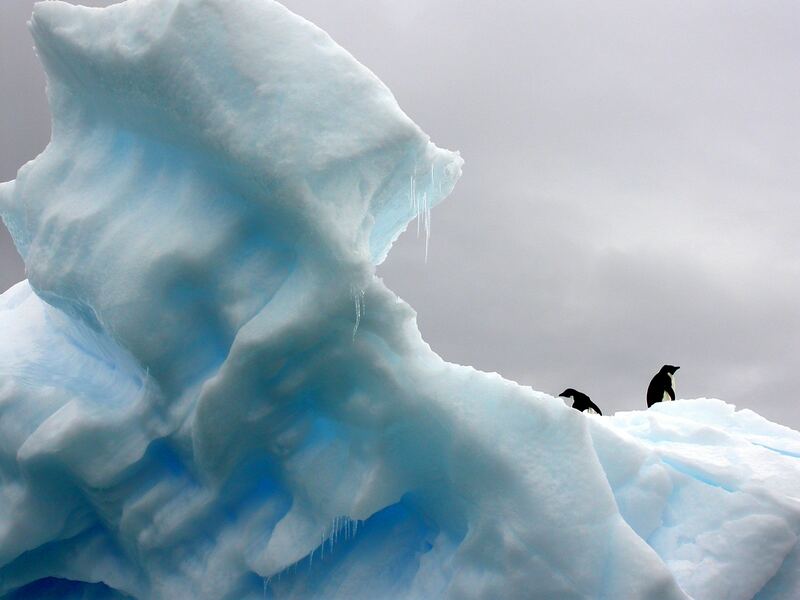 Due to climate conditions, all aspects of an Antarctic itinerary are in the hands of the weather. That said, you are guaranteed to experience magical moments not found anywhere else in the world. Hopping aboard Zodiac boats will allow you to explore the nooks and crannies of the craggy landscape with expert polar guides. From the storied British scientific base at Port Lockroy, to the icebergs of the famed (and well-photographed) Lemaire Channel, to the views of icy peaks in Paradise Bay and the active volcano at Deception Island, you are in for a journey like no other. Cruising between the South Shetland Islands and the western coast of the Antarctic Peninsula, you should look out for ice mirages and solar halos — the beauty of which is nearly impossible to accurately document. Antarctica is not only known for its phenomenal geological experiences, but for its mystical creatures, as well. You’ll meet fan favorites such as Gentoo penguins on their home-turf: the granite backdrops of Petermann Island. 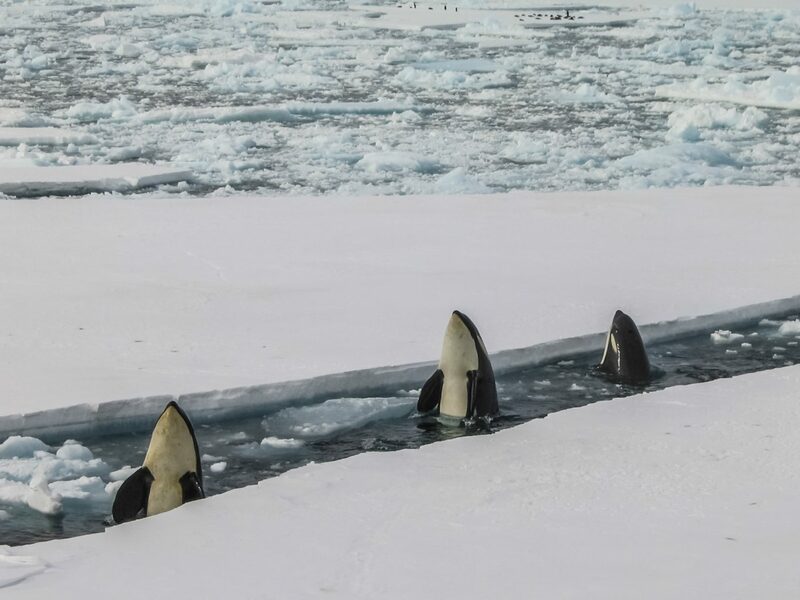 Orcas and humpback whales may bypass you in the channel traffic, and are known to show off their enormous flippers. The massive Elephant Seal is known to make an appearance — these can grow up to 20 feet long and be well over 8,800 pounds. Looking above, explorers can spot Blue-Eyed Shag, Wandering Albatross, and Polar Skua. The serenity and peace of their Antarctic home makes these close encounters once-in-a-lifetime experiences. If your 2018 resolution includes a bucket list adventure, consider Antarctica. For lovers of adventure, mystique, and awe-inspiring sights, the Seventh Continent is in first place! 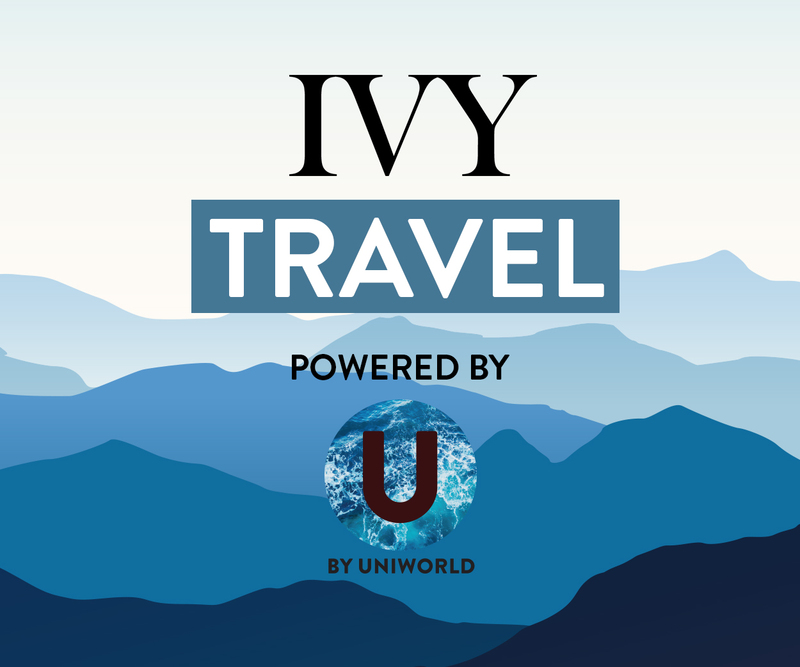 For more details on everything this incredible getaway has to offer, check out the full itinerary on IVY Travel. Hope to see you there!